Decommissioning of Gasification plant, Fife, Scotland. The site ran as a Gasification Plant and was operated by British Gas in the 1970s. The pilot plant soon after mothballed and has been closed for a number of years. Daltons were commissioned in 2013 to carry out a strategic phased decommissioning and dismantling of the redundant plant and asset to enable the owners to plan future developments. Demolition of city centre building, Edinburgh Scotland. 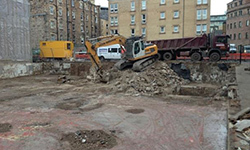 City Centre demolition project bounded by surrounding residential properties, a live BT exchange, busy main road & heavily pedestrianised walkways. Dismantling & façade retention of former cinema, Edinburgh, Scotland. 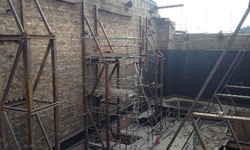 City Centre demolition project comprising intricate hand demolition, asbestos removal, decontamination works, façade retention, mechanical demolition and site clearance. Demolition and dismantling of residential and office blocks. Demolition and dismantling of schools, hospitals, cinemas and other public buildings. Demolition and dismantling of industrial buildings and factories. Dismantling of bridges and viaducts. 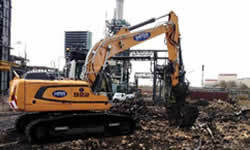 Dismantling & decommissioning of redundant plant and equipment. Trading for over 50 years, we have established strong working relationship with our existing clients, evident through continual repeat business. Dalton for Scrap deliver a professional comprehensive service for all your scrap metal recycling requirements. To find our more about any of our services please don't hesitate to contact us today.